Halloween Jack™ Slot – Prime Bonuses – Join Vegas Spins! Experience the thrill of Halloween at Vegas Spins with Halloween Jack Slot! It is a well-designed game powered by NetEnt, which consists of 5 reels and 20 paylines. Fright is in the air with its mysterious and hazy backdrop! In a dark and ghostly setting, you can see a structure with 2 pillars on either side, along with jack-o’-lanterns at their foot. When you launch the reels, these jack-o’-lanterns light up in a scary way. That’s not all! A terrifying soundtrack is played in the background, giving you goosebumps. In this frightening environment, find the following symbols on the reels; Horseshoe, Raven, Lady Vampire, Bat, Horse, A, K, Q, J and 10. Start this scary adventure on any device! Join the ghosts, vampires and ghouls for a matchless gameplay on Halloween Jack Slot! Get started by selecting a coin value with the - and + signs on the corresponding field. Also, choose a bet level on the Level display. With the Max Bet tab, you can even opt for the maximum stake. Use the Auto Play feature if you wish to set a given number of rounds that are automatically played. Meanwhile, don’t miss the Halloween treats! Bet Levels: Select one to ten bet levels on Halloween Jack Slot. Amount of Paylines Selection: All 20 paylines are active during the gameplay and cannot be adjusted. Coin Values: Choose betting amounts ranging from £0.20 to £100. Don’t miss the terrific features on Halloween Jack Slot! With a Wild symbol on any of the 3 middle reels during a free spin, you can launch the Walking Wild Feature. When a winning combo includes a Wild during this round, the prize is multiplied by 3x. Stacked Hell Hound Wild: Gather 3 Lanterns, with the next Wild on the reels becoming a 2-high Stacked Hell Hound Wild. The Walking Wild Feature is then activated. Stacked Jack-O'-Lantern Wild: Accumulate 6 Lanterns, with the next Wild symbol being converted into a 3-high Stacked Jack-O'-Lantern wild. Here too, the Walking Wild Feature is triggered. Expanding Death Reaper Wild: Collect 9 Lanterns, with the next wild turning into the Expanding Death Reaper Wild symbol. It results into a Wild Reel which moves 1 reel at a time per free spin. Halloween is incomplete without the pumpkin! On Halloween Jack Slot, the Pumpkin stands for Wild and can take the place of any symbol, except for Scatter and Lantern in a winning combo. During the main game, it does not land on the first reel. Plus, the payout of a winning combination which includes a Wild is multiplied by 3x. The Wild symbol also helps in activating the Walking Wild Feature. Along with other thrilling features on Halloween Jack Slot, enjoy the Free Spins round. It becomes active when 3 or more scattered Treasure Chests show up. Receive 10 free spins to relish this round! Land at least 3 more Scatters during the feature to earn 5 extra spins which are added to the others. 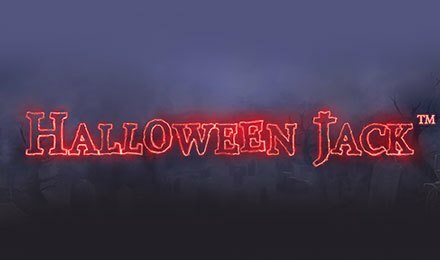 Celebrate Halloween in a scary setting on Halloween Jack Slot at Vegas Spins. You can also check out other similar games on the site to pursue your spooky experience. Wish you all the best!